You can never have a bad mobile browsing experience with a good browser app on your smartphone. A good mobile browser can even turn sluggish pages into responsive ones. They use third party plugins for quick loading of pages, save passwords for easy logins, accelerate web images and a lot more. 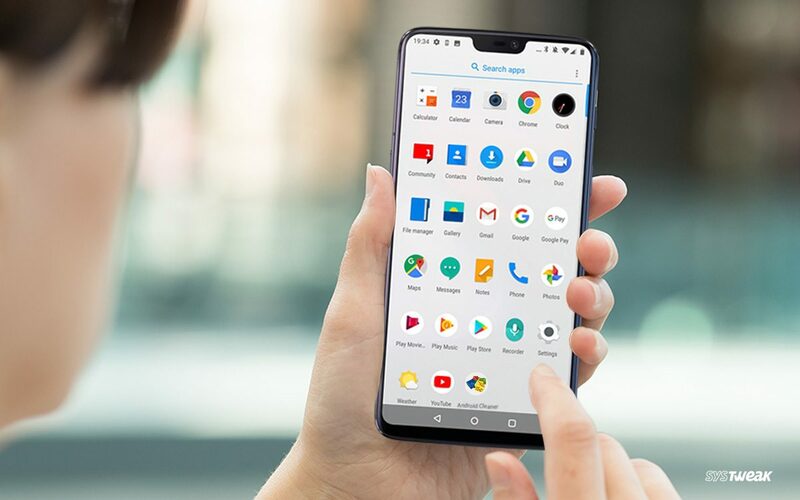 However, it’s a tough call when deciding the best Android browser for your device as there are many options available. Don’t worry because we’ve listed down 10 fastest browsers for Android in this article. Before getting into the details, let us discover why we need a good and secure browser for Android. Let’s dig into the article. 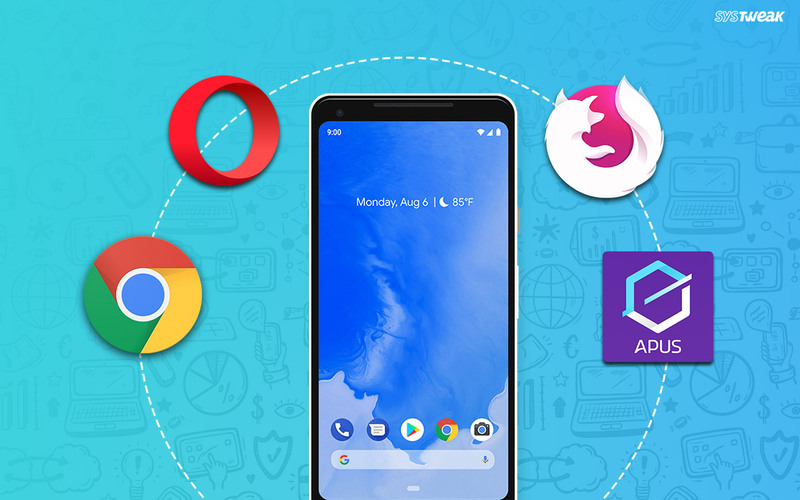 Why Do You Need The Best Web Browser For Android? The answer is simple- To Improve your web surfing experience. Let us elaborate the statement. We, with our Android mobile spend a lot of time on the Internet. Therefore, it’s important for us to mold our Internet browsing experience in the best way possible. Best web browsers for Android provide us with secure and fast Internet surfing. They also offer great features such as inbuilt download manager app, simple and interactive UI and many more. Note:- Selecting a mobile browser entirely depends upon your taste and requirements. Taking this into account, let’s dig into the best part of the article. Here are the top 10 Android browsers you would love to use on your device. Read On! Google Chrome is the one of the best Internet browsers for Android devices. Google Chrome may lack some features when compared to other browsers, but it rarely gets lags when it comes to browsing speed. The app is built on Chromium, an open source engine. The cool Android browser works well with slow speed internet with the help of its “googleweblight” page feature. Syncs perfectly with your Chrome browser on PC. Even with limited additional features and high-consumption of processing power and RAM, Google Chrome still remains one of the best secure browsers for Android. Get it from here. Opera for Android is one of the fastest browser for Android ever built. The app is also built on the open source engine Chromium. It is clean, has some marvelous features, and is popular for the “data saver” feature. It contains an ad blocker and a news reader (swipe left to find it). Consists of different app layouts such as Classic, Tablet and Phone. Opera has a limited number of add-ons, but you can use it for its ability to quickly open web pages. Click here to download the app. Firefox Focus is Mozilla Firefox inclined more towards private browsing. Firefox Focus is specially designed to support private browsing in Android. Firefox Focus is the one of best Android browsers when it comes to block tracking programs and hide ads. The application blocks ads and displays number of blocked tracking programs real time on every page. The app has also got a stylish UI that makes the app more engaging. Syncs with your Firefox browser on PC and basically consists all major features of Mozilla Firefox. Blocks tracking programs, shows status of the programs blocked in real-time and hides ads on each page. Firefox Focus is one of the top browsers for Android. It’s secure, easily blocks ads and includes all features of Mozilla Firefox, the one the best browsers for Android mobile. However, the app does not function well in low speed internet. Click here to download the app. Apus mobile browser is exclusively designed for low powered Android devices. 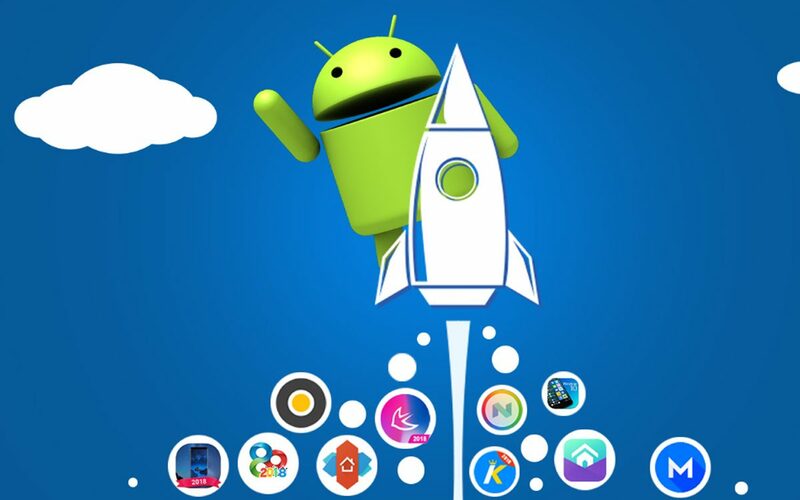 The capability to react fast in limited conditions makes Apus one of the fastest browsers for Android. This small sized browser has an awesome launcher and some exclusive features which you seldom find in other Android browsers. It contains a “pop-up” feature where you can copy a text and search it in the web. Apus is a hidden gem that may not too many features like Mozilla Firefox or UC Browser but still works great when it comes to simple browsing. Get it from here. When it comes to simplicity and intuition, Dolphin browser is one of the best free browsers for Android. The UI is super intuitive and can instantly save your shortcuts and bookmarks in the app. Additionally, it contains a pop-up blocker and a flash player that enriches your entire browsing experience. The application offers great features to its power users. Gesture support, personalized search and Sonar (voice search) are some examples of the advanced features in Dolphin. Overall, Dolphin contains less add-ons compared to other browsers like Mozilla but outshines them with its simplicity and unique set of features. Click here to download the app. Immensely loaded with a variety of features, UC browser is the best Android browser app you can download on your device. The browser has got a slick UI that gets updated frequently. The app has also got a powerful download manager that helps you easily download files (audio, video and other files) from websites without interruption. Other features like Speed mode for slower networks, Auto-page loader and “Text only” mode is really impressive. UC browser also consists of a inbuilt music player, UC news and UC music (to download music from web). In a nutshell, UC Browser is a feature-packed secure browser for Android browser that you’ll enjoy anyway. However, the application consumes a considerable amount of RAM. Click here to download the browser. Puffin browser is certainly the fastest web browser for Android in the list. As they name it, Puffin is wicked fast and works exceptionally well in loading desktop sites. We have tested the Facebook desktop site on Puffin and it opened perfectly. Its features include virtual joystick, mouse and pointer. These features are useful for playing games and easy desktop style browsing. Puffin is a great browser for Android that allows you to open websites especially desktop sites in no time. However, streaming of flash content is restricted to 12 hours in a day. For maximum streaming, you need to switch to Pro version of the software. Click here to download the software. Simple, fast and lightweight- CM Browser has it all and that’s why is considered as one of the best android browsers. Its stylish UI and powerful browsing capability can outsmart even the best browsers in the world. CM’s features consist of gesture control for easy access and security controls like scanning and quarantining malware. It also includes features like “Privacy cleaner” for erasing all your personal and financial records from the mobile browser. Privacy cleaner for removing all your personal and financial records from mobile browser. Card tabs for simultaneously accessing websites. CM Browser is one of the most wonderful browsers for Android phones. However, the apps do not include a huge list of add-ons like some apps in this list. Click here to download the app. You will love InBrowser if you love browsing with incognito mode. The app is powerful and does not leave a trace about your browsing details after you leave the browser screen. It is so stealthy that you cannot even find it in the recents screen as soon as you tap the home button or move to another app. It automatically deletes every browsing detail right away. Moreover, you can browse anonymously with the help of TOR. InBrowser is one of the best anonymous browser app for Android you can ever come across. It entirely supports private browsing in Android. You can call it as arguably the most secure Android browser. However, you are required to download Orbot from Google Play Store for TOR to work. Click here to download app. Flynx is one of the top browsers for Android that supports multitasking. You can load multiple links through Flynx and it will run them in background while you work on other important things. Its quick read mode removes distractions like ads and saves content offline so that you can read them later. Although Flynx is reported to crash few times after performing for a long time, it’s one of the most decent browsers for Android mobile. Click here to download Flynx. Here ends our list of the top 10 fastest browsers for Android. We would again suggest that you make your choice according to your requirements not viewing app’s features. All browsers in the list are efficient in terms of features, responsiveness and performance. Hence, choose one from the best Android browsers available this year. In case we missed your favorite Android browser, please let us know in the comments below. We’d love to hear from you.